Home English Are these Countries safe? The three Maghreb countries of Morocco, Algeria and Tunisia to secure the countries of origin to be explained. So have people from these countries are not entitled to asylum more. The decision is controversial. Soon you will probably be the “safe Countries of origin” include, the three Maghreb countries of Morocco, Tunisia and Algeria. In practice, this means that people from these countries in Germany in principle not entitled to asylum more – and thus no Chance, on this legal basis permanently to live here. on the increased number of immigrants from these countries. 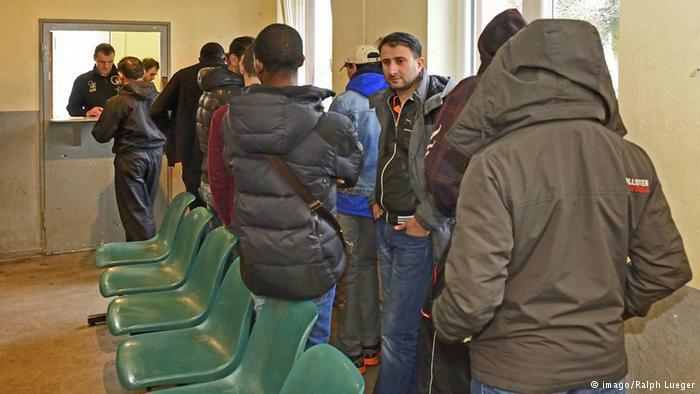 According to the Figures of the Federal office for Migration and refugees (BAMF) travelled in December 2015 nearly 2300 Algerians and about 3,000 Moroccans to Germany. A total of 5300 people – substantially more than in the previous year: in 2014, travelled a total of just 4000 people from the two countries to Germany. In the focus of the Public and the authorities were Algerians and Moroccans in Cologne on new year’s eve. A high number of the alleged perpetrators comes from the two North African countries. After the unrest, the incidents of new year’s eve triggered, there is a political interest, the number of Algerian, Moroccan as well as Tunisian refugees in total to reduce, even by the already arrived here people in their Countries of origin will be returned. About the human rights situation in Algeria and Morocco, however, it is not good. For the period between 2010 and 2014, the human rights organization Amnesty International in Morocco, 173 cases of torture. Eight people were prosecuted, after the amount of torture be made public or reported. Talks about Amnesty of “numerous” unfair court cases. Several refugees from sub-Saharan Africa, the Spanish enclaves of Melilla and Ceuta penetrated and by the Spanish authorities, once again the Moroccan authorities have suffered disproportionate use of force. Also Algeria has a poor human rights record. The civil war of the 90s, as the government over the years against the to their democratically-won victory brought Islamists fought, was still not complete, so call. Amnesty International confirms this diagnosis: the Algerian secret service have a number of Islamists arrested and tortured. Especially in the recent past make it difficult for Algeria as a constitutional state to consider, ” says Werner Ruf. with the Argument that they came from safe Countries of origin, not more than asylum-seeker to acknowledge is problematic, says also the amount of Algerian activist Randah Uthman. Even more so, as your opinion, not new immigrants, but in Europe-born persons with Maghreb roots by crime, had noticed.